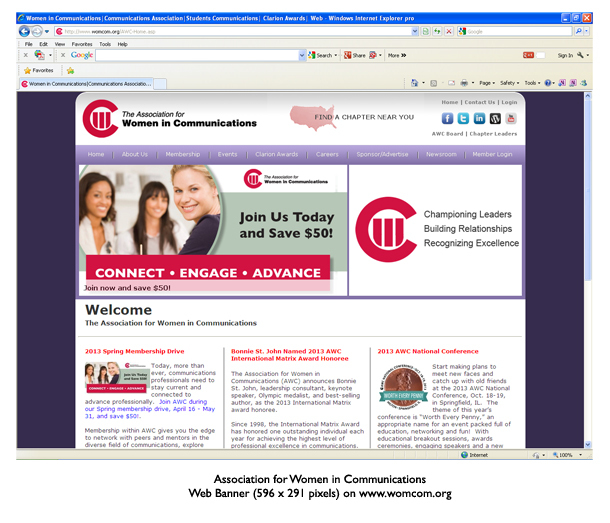 The Association for Women in Communications (AWC) is currently promoting their membership campaign from April 16 to May 31st. 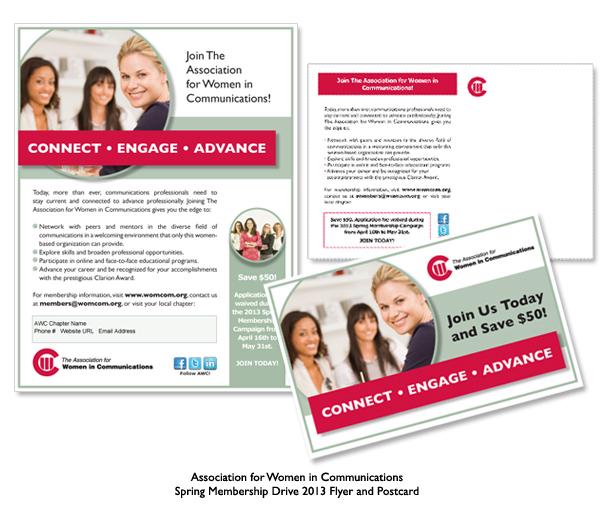 I volunteered to design their promotional materials that are editable for all local chapters to use. 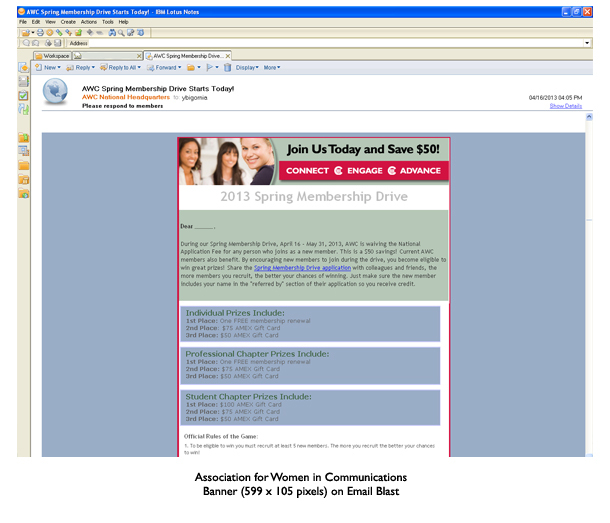 In this campaign, I created a writable flyer and postcard, and web banners for the organization’s website and email blast.